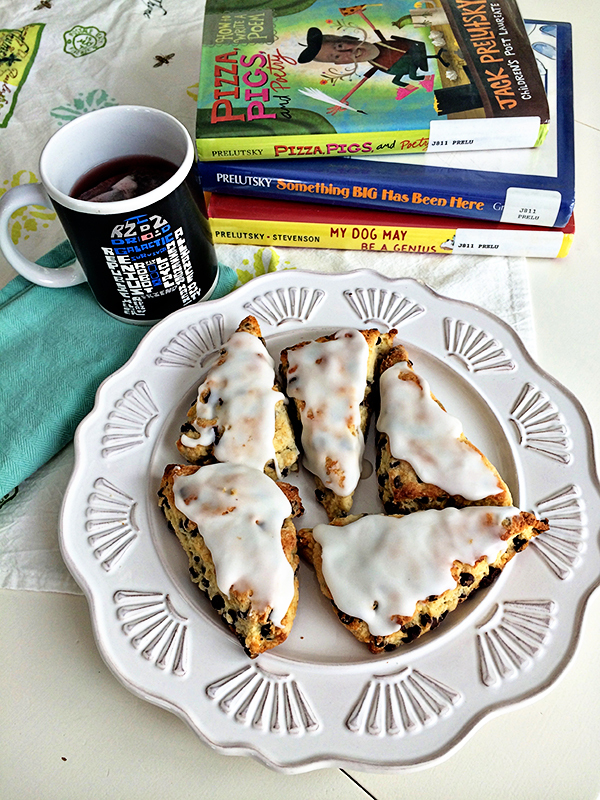 If you’ve explored Brave Writer even a teeny bit, you’ve probably heard about Poetry Teatime Tuesdays. They say it’s the gateway drug to the Brave Writer lifestyle. Well, maybe they don’t say it like that. No one is slipping anything into the tea, I swear. But this poetry teatime is a big thing in Brave Writer. Being the dedicated padawan of Brave Writer that I am, of course I added in poetry tea time. Master Julie says do it, I do it. Guess what I found out. Wait, can I say that out loud and call myself a Brave Writer parent? Do you think Julie will come take my Brave Writer merit badges away? Like, she’ll show up with a seam ripper in hand and yank them off my sash?! I’m not scared. I’ll just yell #tellthefreakingtruth at her and she’ll have to go home empty handed. It’s kinda fun when you use a Jedi Master’s own words against her. I have tried to like poetry, people. Truly! Look how I’ve tried. You know what? I actually did like Jack Prelutsky. A glimmer of hope? We did a nature-theme poetry teatime. A bird one. Edgar Allan Poe, which wasn’t half bad to me and my boys did love his weirdness. I went to a live poetry reading & listened to Danny Glover perform Langston Hughes’ poetry. Danny Glover, y’all. I paid diligent attention to our poetry exploration month in the Homeschool Alliance. Afterwards I thought I was now prepared to tackle something more sophisticated than Jack Prelutsky, like Robert Browning or Emily Dickinson. I was back to hating it, partly because when I’m thinking hard, I scowl, and at my age you have to be careful about causing new wrinkles. It seems adult poetry makes me think too hard and scowl. While I’m only lukewarm to the idea of poetry, I do love the intention behind the teatimes. So I started brainstorming other ways I could keep the intention but avoid poetry (and new wrinkles!). I’m a bit of a dork when it comes to rhyming (nerdy birdie, hello! ), and I came up with a poetry teatime replacement that I call..
You get some books on art. You get a tart from a bakery. 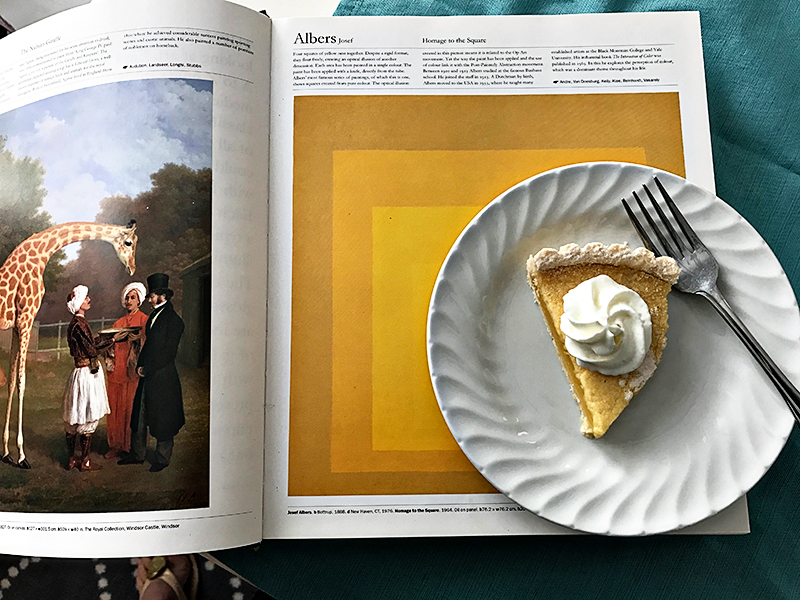 You eat tarts and look at the art books. Please don’t be intimidated by how complicated this sounds. It’s quite easy, I promise. But do not skip steps 2 & 3. I swear on all that is holy (like our extended collector’s edition dvds of Lord of the Rings) that giving food to teenage boys makes EVERYTHING BETTER. One of my favorite beginning art books is A Child’s Introduction to Art by Heather Alexander. 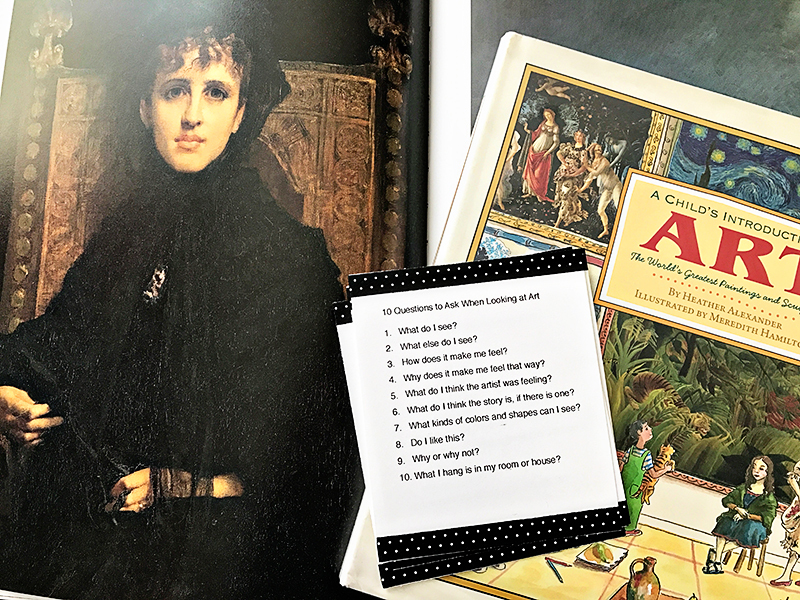 Inside the book is a list of 10 simple questions to ask when looking at art. I typed them up and printed on card stock to have in front of us while we looked at different books. I did complicate things a little by adding washi tape because that’s one of the few girly things I do. Look, I live in a house full of testosterone. I’m the only female. I have to support my estrogen levels with a few girly things here and there. I collect cute washi tape as hormone therapy. Another thing I like about this book is its annotated pages. 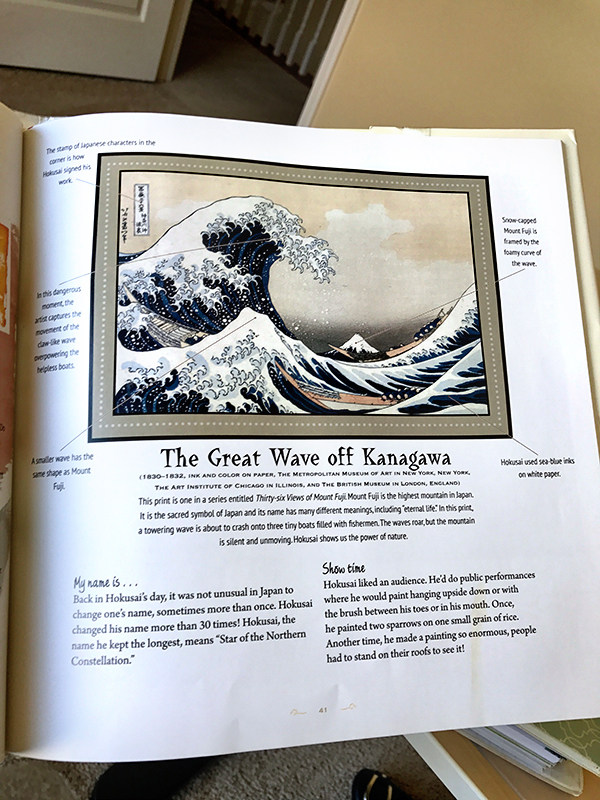 Turns out I like annotated art books. (Wait, are there poetry ones too? Hmmm.) The short snippets of information are perfect. No overwhelming amounts of text to bog you down with details you don’t want to know. Remember, don’t think too hard about this or you’ll get wrinkles. We’re doing this for fun, not to increase Oil of Olay sales. Save your hard thinking for something that really matters, like world peace or which toppings you want on your pizza. 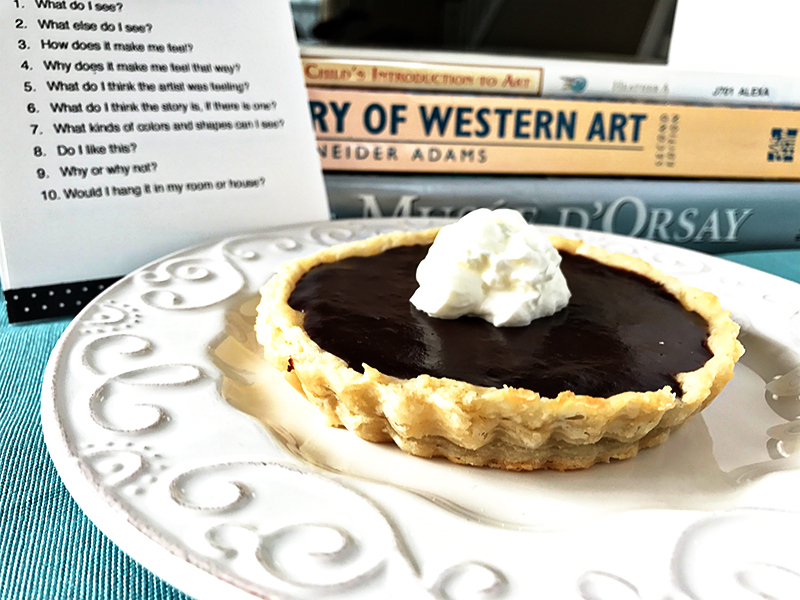 I occasionally feel ambitious and channel that feeling into baking our own tarts. Most of the time I channel the baking ambition into my Pinterest board and leave it at that. But sometimes I’ll actually bake from-scratch tarts. Of course, I burnt the crap out of my first attempt. (Not all of my confections are gems.) But I’m no quitter! A second batch went in the oven. If you happen to feel ambitious, a berry & mascarpone tart is actually pretty simple to make. After a couple of tarts it’s probably time to walk off some calories. 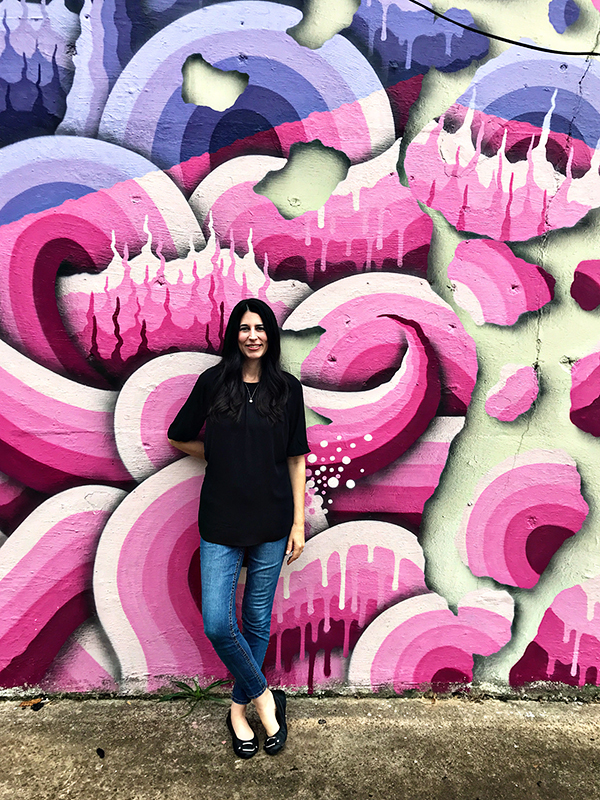 I have ideas for exploring art with your teens outside of the house too. Brilliant. Right away. So glad to have you out here on the interweb.